Police are appealing for witnesses following an armed robbery in Kelso yesterday. The incident happened around 10.55pm at the Cooperative convenience store in Roxburgh Street. A man entered the premises and presented a knife at the staff member before stealing three bottles of whisky and a quantity of cigarettes. After leaving the store the suspect turned right and headed back down Roxburgh Street, towards the town centre. Inquiries are now ongoing to trace this male and anyone who can help identify him is asked to come forward. He is described as white, around 6ft tall and wearing dark trousers with two high-vis stripes at the end of each leg, a dark tight-fitting jumper, dark grey woollen pompom hat with red and white patterning and a dark scarf obscuring the lower half of his face. 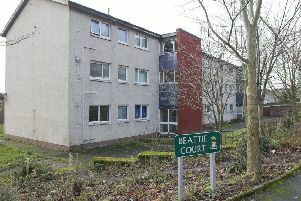 Anyone with information should contact Galashiels CID via 101 and quote incident number 4441 of January 28. Alternatively, an anonymous report can be made to the charity Crimestoppers on 0800 555 111.